Who doesn’t like chocolates, cakes, cookies, and cupcakes? No one can resist these delicacies. This is where bakeware come into role. What if you prepare the dough after a long process and then keep the dough to bake and in the end, the whole thing gets messed up because the utensil you used was not appropriate? You would get pretty annoyed and angry right? This is why you need to have a bakeware from the best brand. Today, if you check the market, you will find more than 100+ brands on the market that manufacture bakeware. However, not all brands manufacture the same quality products or use the same materials. When it comes to bakeware, the material used to make the bakeware plays an important role. The material used should be able to spread the heat evenly all over the surface. Here is the list of 10 best brands that manufacture best bakeware’s. Pyrex is a trademarked brand name introduced by the company Corning Inc. and was founded in the year 1908. Pyrex is a line a clean and low-thermal-expansion featured borosilicate glass that is used for manufacturing laboratory glassware and for kitchenware. It was in the post war-era Corning introduced products like bowls, bakeware, opaque soda-lime glass, and also an extensive line of Pyrex flame ware for stovetop use. Pyrex today is a leading manufacturer of utensils and bakeware in the world. The brand has maintained high-quality of their product consistently for a very long time. 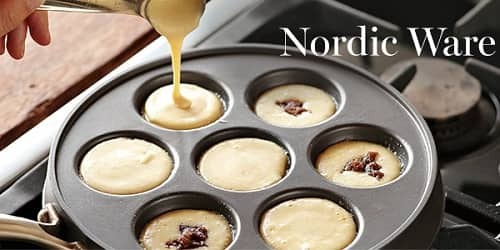 Nordic Ware is a bakeware manufacturing company founded in the year 1946 and has its headquarters in St. Louis Park, Minnesota, United States. The brand rose to fame in 1950s for its Bundt cake pans. Apart from this product, the microwave cookware from this brand was also a huge success. To be precise, this is the only one of the few still remaining brands that manufactures their products in the USA and exports it to 50 different countries. Few of the records indicate that this brand has sold over 70 million Bundt pans in North America alone. Slim Griddle, Steak server, pastry decorating sets, compact ovenware, baking sheets etc. are few of the products from this brand. Vremi is the name of a brand that manufactures cookware. This brand was founded by Jordan Nathan. The brand today is well-known for the top-quality and user-friendly cookware designs. However, currently, Vremi has expanded its range of products and services offered to fulfill the needs of every kitchen in any part of the world. This brand specialises in designing and marketing colourful and aesthetic cookware and bakeware that includes pots, knives, cookware, mix and measure lot set and pans. Circulon is a Synonym for non-stick saucepans, frying pans, cookware, and bakewares’s manufactured by Meyer. The Circulon’s products non-stick coating is designed in such a way that it is bonded to hard anodized aluminium which makes it twice as hard as stainless steel. As a result, the non-stick coating on the products adheres to the pan, cookware, and bakeware that last longer. The grooved wave design incorporated on their cookware and bakeware products protects more of the non-stick coating from abrasion. Saucepans, pan sets, frying pans, skillets, grills etc. are some of the products from this brand. 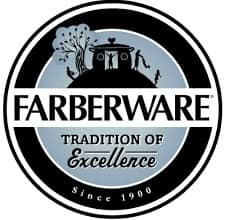 Farberware is an old American brand founded in New York in the year 1900. The company was founded 118 years ago and specializes in manufacturing and marketing kitchen related appliances, cookware, and bakewares. However, in the year 1997 this company was acquired by the Meyer Corporation and the brand still holds the reputation as a leading manufacturer of cookware and bakeware. The Farberware cookware and bakeware products are currently sold in mostly all the major retailers and other top retailers like Walmart. Le Creuset is a French cookware manufacturer/Brand that has the headquarters in Fresnoy-le-Grand, France. This brand is well-known for its unique and colorfully-enameled cast-iron cookware also commonly referred as casseroles or cocottes. The brand and its product also made casserole the synonym for a cookware product. It is said that the company manufactured their first cookware in the year 1925 and then manufactured bakeware, later on, the brand has been growing ever since and improving their design efficiency. It was in the year 1970, the brand introduced the first French saucepan with a lid that is still used today. One of the notable products of this brand is their cast-iron cookware which is manufactured using standard sand casting method which is then hand finished and coated with two layers of enamel for long life and high resistance to corrosion. The brand also has a unique lifetime limited warranty on almost all products. Corning Ware is a brand name of unique glass-ceramic cookware resistant to thermal shock. The brand was introduced in the year 1958 in the United States of America. One of the notable things of the product from this brand is that glass-ceramic based products from this brand can be taken directly from the refrigerator and can be used on the stove top without causing any damage to the product. These products are dishwasher safe and are sold worldwide. Browning skillets, cake pans, coffee pots, frying pans, pie plates, roasters, saucepans etc. are few of the products from this brand. USA Pan was founded in the year 1959 by two brothers for manufacturing bakeware products. The brand from its founding grew into one of the world’s largest commercial bakeware manufacturer. The brand has a 50-year experience in manufacturing some of the finest bakeware in the world. 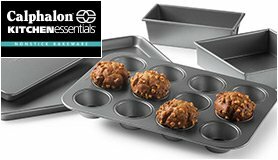 Bakeware sets, cooling racks, sheet pans, speciality pan etc. are few of the products from this brand. Lodge officially known as the Lodge manufacturing company is an American based company that manufacture cast iron cookware and bakeware. This brand has its headquarters South Pittsburgh, Tennessee, United States and was founded in the year 1896. One of the notable things about this brand is it is one of the oldest and still operating cookware and bakeware manufacturing companies in the USA. The brand is still owned by the lodge family and also does its cast iron cookware and bakeware production in their cast iron foundry in South Pittsburgh. 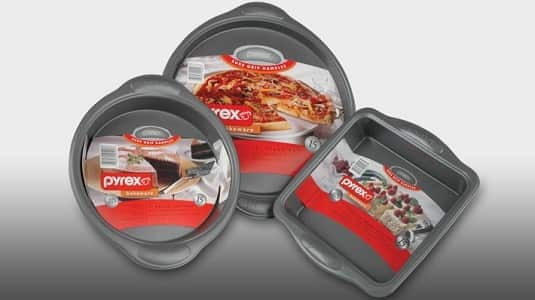 Bakeware is something that should be chosen carefully if you have no idea on how to choose the product, then, feel to consider the brands listed above, as they have succeeded in consistently maintaining the top-quality of the bakeware they manufacture and market.